WARNING: Sorry Betsy, this is not the post you were hoping for! So maybe today was not a prefect day for running. It was hot, humid, and sunny- my least favorite combo. HOWEVER, today was pretty perfect. Why? 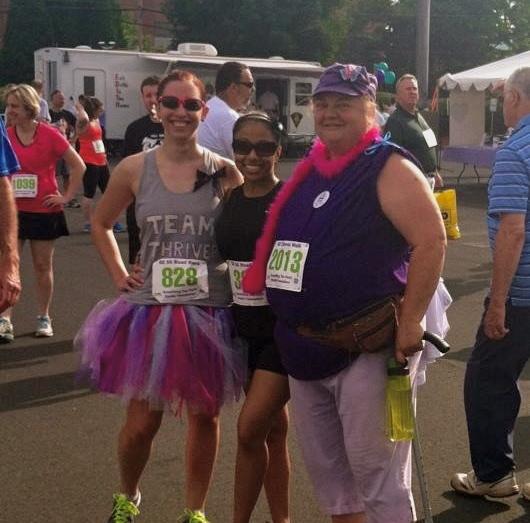 Because today I ran the Petit 5K Road Race as our inaugural run for Team Thriver! How could a day not be perfect when you spend it with women who have overcome so much, who choose to thrive in the face of adversity? How could you not be joyful, grateful, and inspired by their presence? Today these ladies set new challenges for themselves, and they all demolished their goals! For many, it was a first to cover that distance. The fact that they were able to do so in such brutal conditions is a true testament to their strength- inside and out. 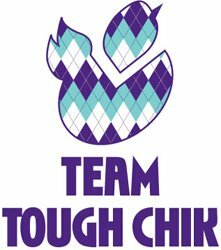 When we first discussed having Team Thriver walk and run at the Petit 5 K, I wasn’t sure if we would have any ladies come other than Christine, Joanna, and I. I was elated when there were more than double that number between runners and walkers! 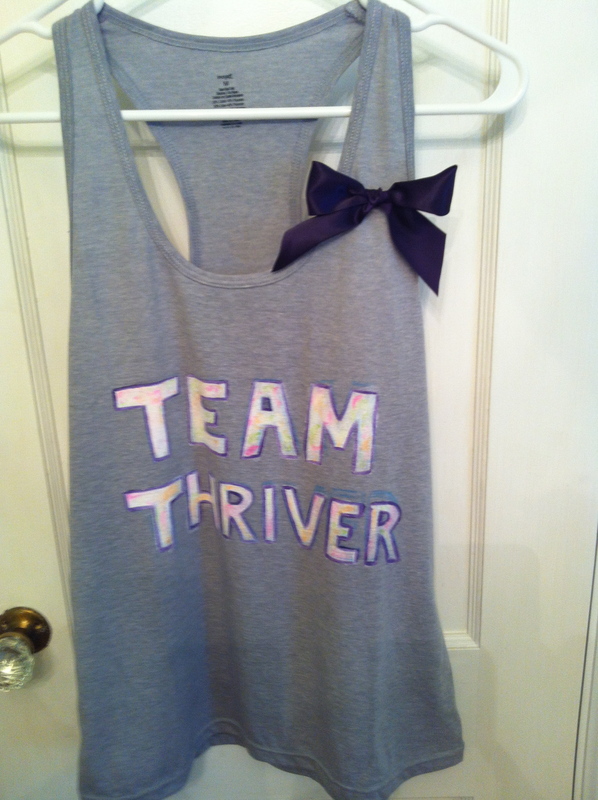 To celebrate the occasion I had made my own Team Thriver t-shirt AND super sparkly tutu, or as I like to call it a Thriver Skirt. As far as the race itself, the course was flat and went by pretty quickly given the weather conditions. There were plenty of spectators angels outside with sprinklers and hoses to cool us off and cheer us on. I hope they earned some serious brownie points in heaven today because they earned them standing outside in that heat! My gun time was not bad considering I started at the back of the pack… and seriously crunched/rolled my ankle in the first half mile (out of the blue) and had to hobble-run a little ways before I could put full weight on it. Don’t worry, I iced it as soon as I got home! In truth, I wasn’t worried about my time anyway. 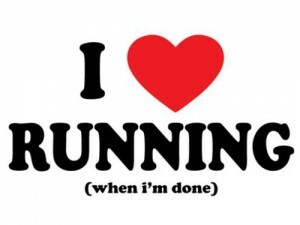 First, it was too hot and humid out to really push myself, and more importantly that wasn’t my purpose in being there. I didn’t run that race for myself. 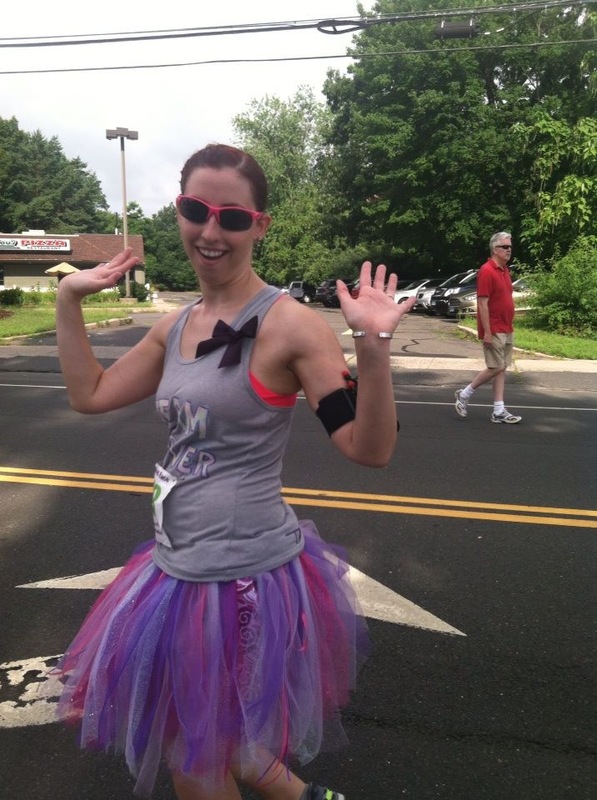 I ran that race for Team Thriver, and for all the victims of violence that the Petit Foundation helps raise money for. This race, like the Lavery/McDermott Race, was about a cause greater than myself or even our team; and there is something about races organized around a cause- especially one dear to your heart- that other runs just can’t compare with. That being said, being there with Team Thriver was just icing on the cake. Those ladies knocked it out of the park! I am so proud of each and every one of them, and honored to know them. These are the women who inspire me to run on a daily basis. They are the people who keep me going when all I want is to quit and stop the pain. I push myself for them. I do it for the ones who can’t and to show the ones who can that they are capable too. Sometimes all you need is an example to realize your own potential. Once you see it’s possible and know someone who has done it, you start believing you can too. I want each of these women to see (if they haven’t already) they they can conquer any distance or obstacle they set their minds too. After all, they THRIVERS!